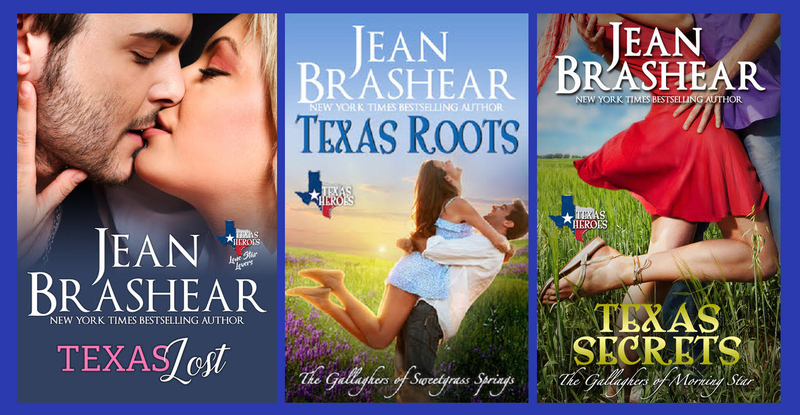 Texas writer Jean Brashear started her first book at age 45. Now she is the New York Times and USA Today bestselling author of more than 50 novels in romance and women's fiction, and her 30th Texas Heroes story, Texas Rescue (a Lone Star Lovers book), releases this week. She is a five-time RITA finalist and a Romantic Times Career Achievement Award winner. Host Patricia McLinn talks with Jean about growing up in a small town and why conflict is necessary for any story.